These socks were aggravating. The Heel Turn and Sole Flap sections were a bit confusing. If you blindly follow along and do exactly what it says, you should be all right. 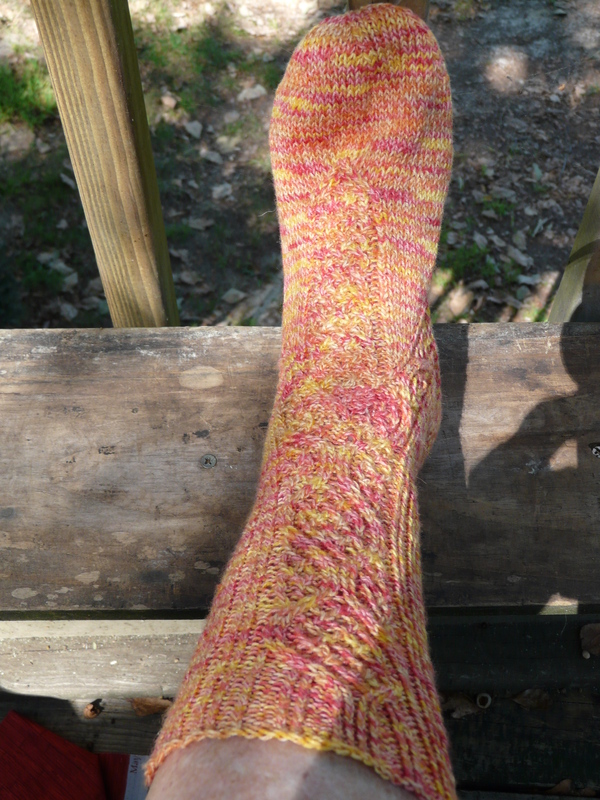 I tend to skim which is understandable since I’ve made more socks than I care to think about. Some things are over-explained to the point that I wanted to scream. Other times, I found myself saying, “What?” Where?” Parts were hard to “see”. When I read a well written pattern, I see it all developing in my mind’s eye. I had to put these socks down a few times and do something else. I also forgot to make the foot narrower, but it’s not too wide. I’m hoping they feel better after a good wash.
See how loose it is . I could grow two more toes in there. 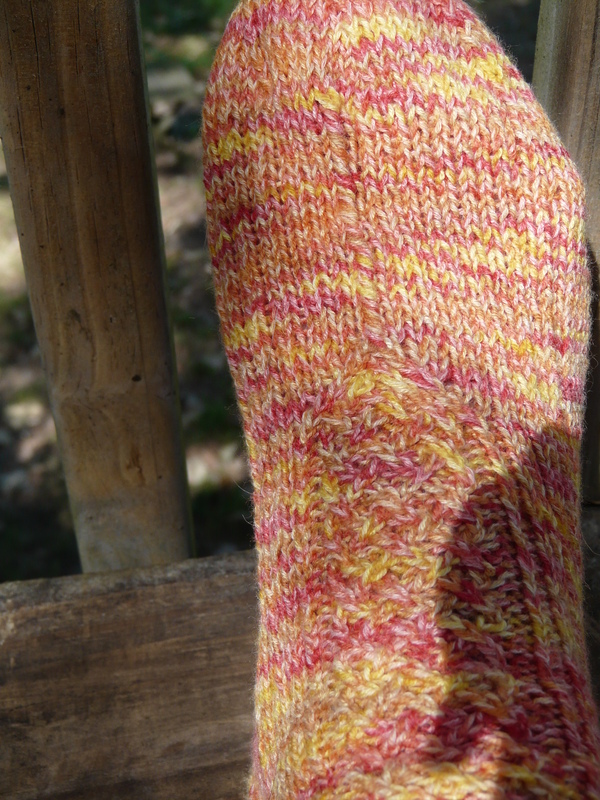 I couldn’t get myself to make the same sock again. 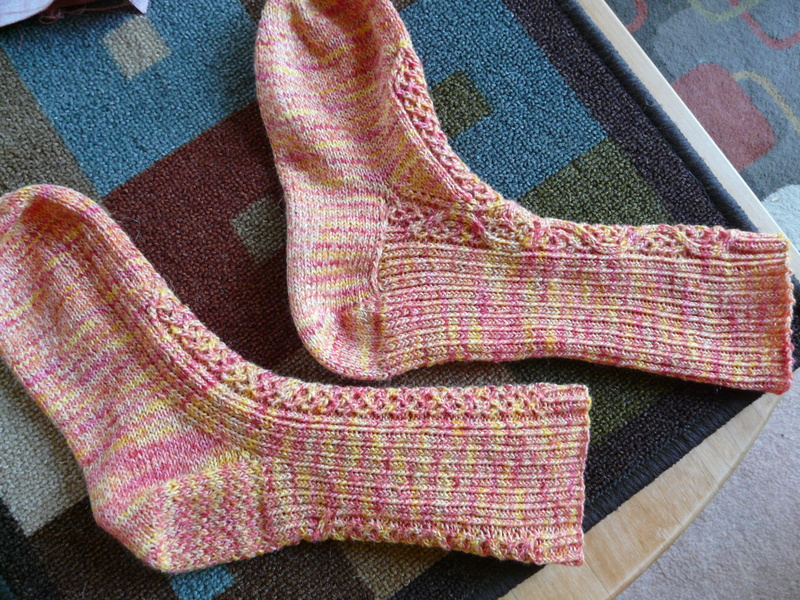 I had already spent more time on one sock than ordinarily takes me to make two. I decided to use the foot pattern down the front and back. I kept the rib pattern throughout and it was enough to make the foot more narrow. I needed a beer when I was finally finished.. This entry was posted on September 22, 2013 at 8:56 pm and is filed under Knitting. You can follow any responses to this entry through the RSS 2.0 feed. Both comments and pings are currently closed.